We diagonalize the second-quantized Hamiltonian of a one-dimensional Bose gas with a non-point repulsive interatomic potential and zero boundary conditions. At a weak coupling, the solutions for the ground-state energy E0 and the dispersion law E(k) coincide with the Bogoliubov solutions for a periodic system. In this case, the single-particle density matrix F1(x, x′) at T = 0 is close to the solution for a periodic system and, at T > 0, is significantly different from it. We also obtain that the wave function ⟨w(x, t)⟩ of the effective condensate is close to a constant √︀N0/L inside the system and vanishes on the boundaries (here, N0 is the number of atoms in the effective condensate, and L is the size of the system). We find the criterion of applicability of the method, according to which the method works for a finite system at very low temperature and with a weak coupling (a weak interaction or a large concentration). N.N. Bogoliubov, On the theory of superfluidity. J. Phys. USSR 11, 23 (1947). N.N. Bogoliubov, D.N. Zubarev. The wave function of the lowest state of a system of interacting Bose particles. Sov. Phys. JETP 1, 83 (1955). K. Brueckner. Theory of Nuclear Structure (Methuen, 1959). M. Tomchenko. Quasimomentum of an elementary excitation for a system of point bosons with zero boundary conditions. arXiv:1705.10565 [cond-mat.quant-gas]. N.N. Bogoliubov. Quasi-Averages in Problems of Statistical Mechanics (Dubna report D-781, 1961) (in Russian). N.N. Bogoliubov, Lectures on Quantum Statistics, vol. 2: Quasi-Averages (Gordon and Breach, 1970) [ISBN: 0-677-20570-8]. V.A. Zagrebnov. 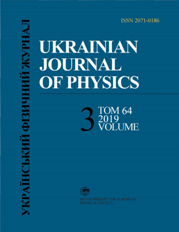 The Bogoliubov theory of weakly imperfect Bose gas and its modern development in: N.N. Bogoliubov, Collection of scientific works in 12 volumes, ed. by A.D. Sukhanov (Nauka, 2007), v. 8. (in Russian)[ISBN: 978-5020339422, 978-5-02-035723-5]. J. Sato, E. Kaminishi, T. Deguchi. Finite-size scaling behavior of Bose–Einstein condensation in the 1D Bose gas. arXiv:1303.2775 [cond-mat.quant-gas]. M. Tomchenko. On a fragmented condensate in a uniform Bose system. arXiv:1808.08203 [cond-mat.quant-gas]. N.N. Bogoliubov. Lectures on Quantum Statistics, vol. 1: Quantum Statistics (Gordon and Breach, 1967) [ISBN: 0677200307, 9780677200309]. L.P. Pitaevskii. Vortex lines in an imperfect Bose gas. Sov. Phys. JETP 13, 451 (1961). M. Tomchenko. Expansions of the interatomic potential under various boundary conditions and the transition to the thermodynamic limit. arXiv:1403.8014 [cond-mat.other]. V. Dunjko, M. Olshanii. A Hermite–Pad?e perspective on Gell-Mann–Low renormalization group: an application to the correlation function of Lieb–Liniger gas. arXiv:0910.0565 [cond-mat.quant-gas]. I. Bouchoule, N.J. van Druten, C.I. Westbrook. Atom chips and one-dimensional Bose gases. arXiv:0901.3303 [physics.atom-ph].